Meadowsweet is often mistakenly assumed to be an umbellifer. Typically growing to about a metre tall but occasionally attaining twice that height, Meadowsweet is a perennial herb that propagates both by means of seeds and via creeping underground rhizomes. The leaves of Meadowsweet are dark green and made up of three to five pairs of toothed leaflets with smaller leaves in between. The upper surfaces are smooth (glabrous); the undersides finely hairy. The flowers of Meadowsweet contain a high concentration of salicylic acid. 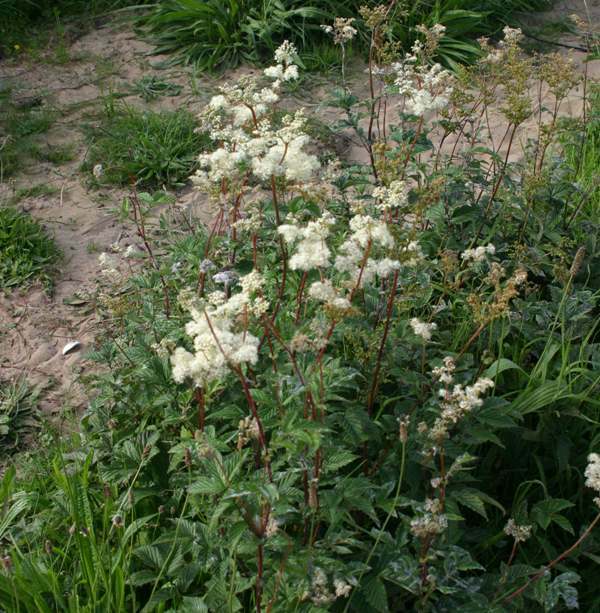 This is the compound from which the pain-relieving (analgesic) drug Aspirin (active ingredient acetylsalicylic acid) was initially derived, and it was given that name because at the time the generally-accepted scientific name for Meadowsweet was Spiraea ulmaria - hence aSPIRin. The purified form of Aspirin was first produced in 1897, but salicylic acid from plants has a much longer herbal history. 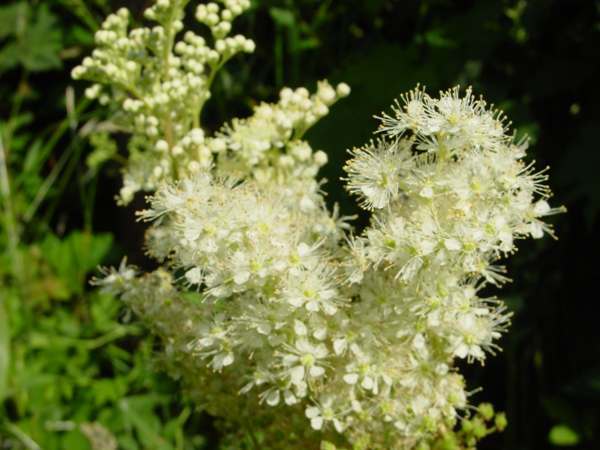 Not surprisingly, Meadowsweet has long been used in herbal medicines to treat headaches and gastric upsets. Filipendula comes from the Latin noun filum, a thread, and the Latin adjective pendulus which means hanging - a reference to the way that the underground tubers hang upon fibrous thread-like roots. The specific epithet ulmaria is a reference to elm trees (Ulmus species), whose wrinkled leaves are similar to the leaflets of Meadowsweet. 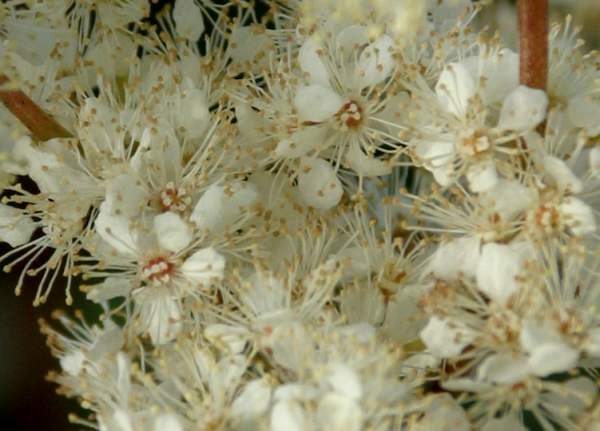 The common name Meadowsweet suggests that this is a sweet-smelling wildflower that grows in meadows, and so it is; however, another of its common mead is Meadsweet, reflecting the fact that the flowers are used, notably in Scandinavia, in the brewing of mead. Dropwort Filipendula vulgaris is a smaller, less common plant and tolerates drier habitats than Meadowsweet. The Meadowsweet plants shown on this page were photographed in West Wales in June.